Depending on how you analyze, there’s usually positive to take from seemingly unfortunate outcomes. Three players put forth multi-point performances in last night's 7-3 defeat, highlighted by Michael Bunting’s first two-goal game of the season. Both of Bunting’s goals came via special teams; his first on the power play and his second on the penalty kill (above), which served as the Roadrunners’ second shorthanded goal of the season. Seeing his first AHL action since November 21 after coming in for relief of Hunter Miska with 8:26 remaining in the first period Friday, Adin Hill stopped 26 of the 30 shots he faced in 48:26 of action. Hill’s 26-save total was a season high in a Roadrunners uniform. The Eagles, ranked in the bottom-third (22nd – 3.00 GF/Game) of the league in goals per game, have scored five or more in four of their last five contests. 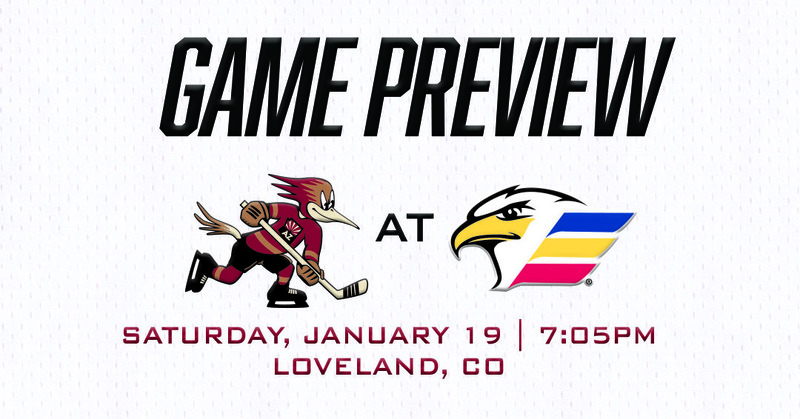 NO LOVE IN LOVELAND: With Friday night’s loss, the Roadrunners have yet to win a game at Colorado’s Budweiser Events Center this season, posting a 0-3-0-0 record as visitors to the Eagles, losing 3-2 on November 2, 5-1 on November 3, and 7-3 on December 19. Overall, Colorado has earned points in 15 of its 19 games played at home, going 12-4-2-1. 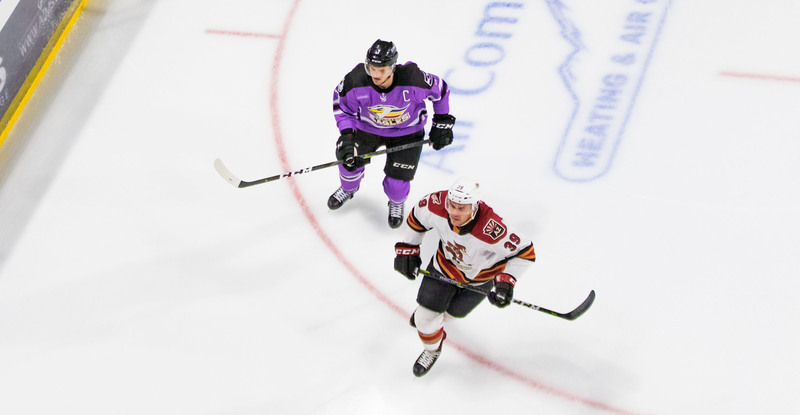 FOUR: Forward Brayden Burke leads all Roadrunners in points registered against Colorado this season, totaling four (1G, 3A) in five games played against the Eagles, the latest point a product of his magnificent cross-ice delivery to David Ullstrom in the third period Friday evening.